The cold frames have now been in my yard since Labor day. 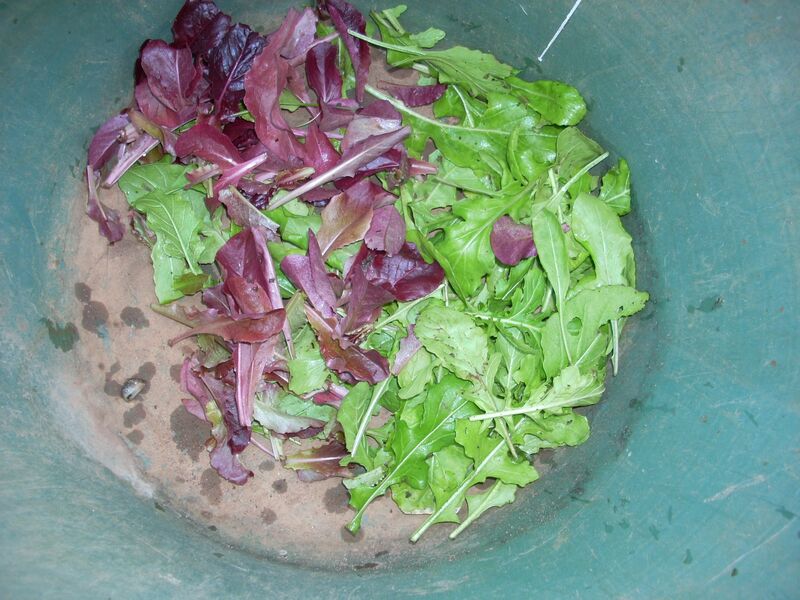 We harvested a really big salad for a dinner in early November for my cousin, another for our Thanksgiving dinner, a small salad for Belle on Christmas eve and today I harvested what is in the trug in the photo at right. I have added a slideshow of the photos I took of the beds today, but I have to say that today the thermometer got in the low 60’s and we missed getting the snow that everyone else got on Christmas day. And a few days before and after Christmas, the temperatures have been really cold and extremely windy here for a few weeks. Last week we had winds that had to have been at least 40 MPH so having the veggies in cold frames was really important those days. One of the days, the lid of one of the boxes blew off and I had to go and put some weight on it to keep it in place. 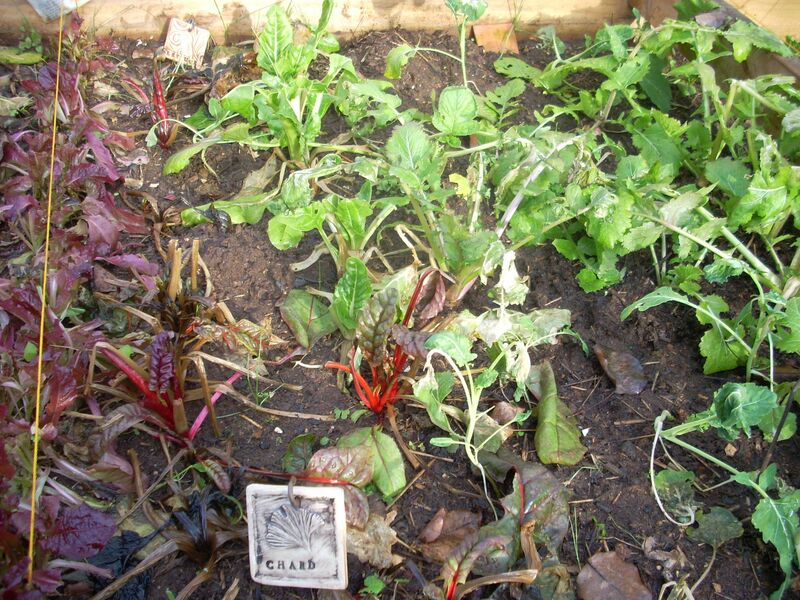 As you can see from the photo at right, some of the lettuce and the chard have some serious frostbite on them but there is some new growth as well. 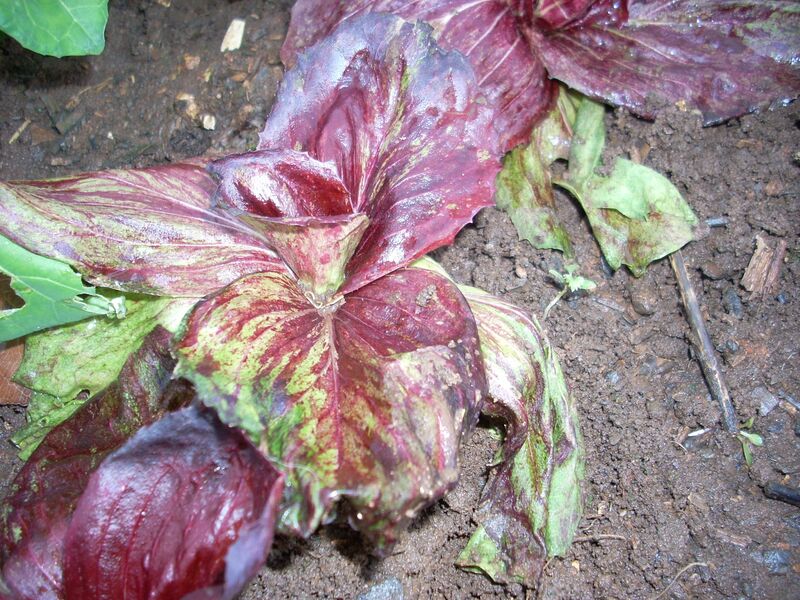 This really was the only bed to have had some serious damage so far.The radicchio also looks a little rough considering, that it was really looking pretty in the early fall. But again, it has some leaves that look like they are going to recover just fine. 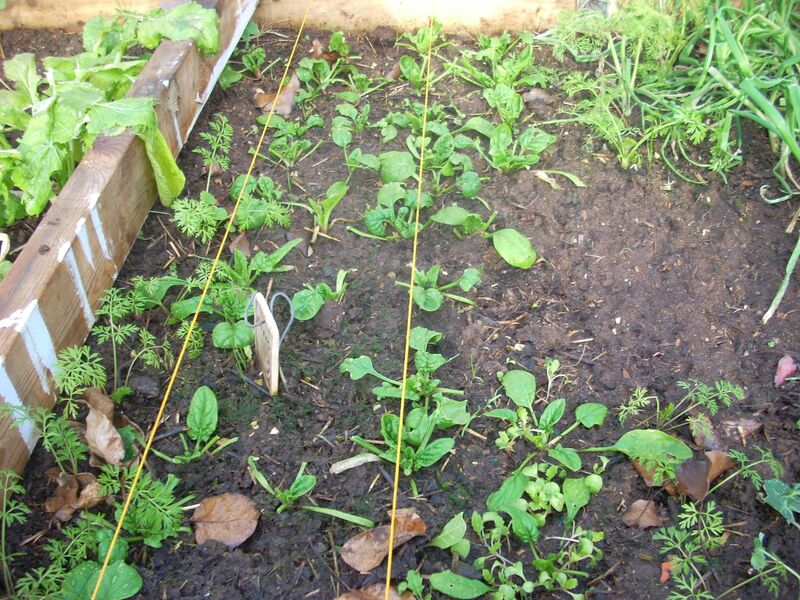 The second bed contains radishes, carrots, arugula, red romaine and mache (corn salad). All of these look great and seem to be growing slowly but show no signs of any damage at all. The spinach isn’t very thick but there is enough there to add to some of the lettuces along the way and add to some of the greens that I may harvest. 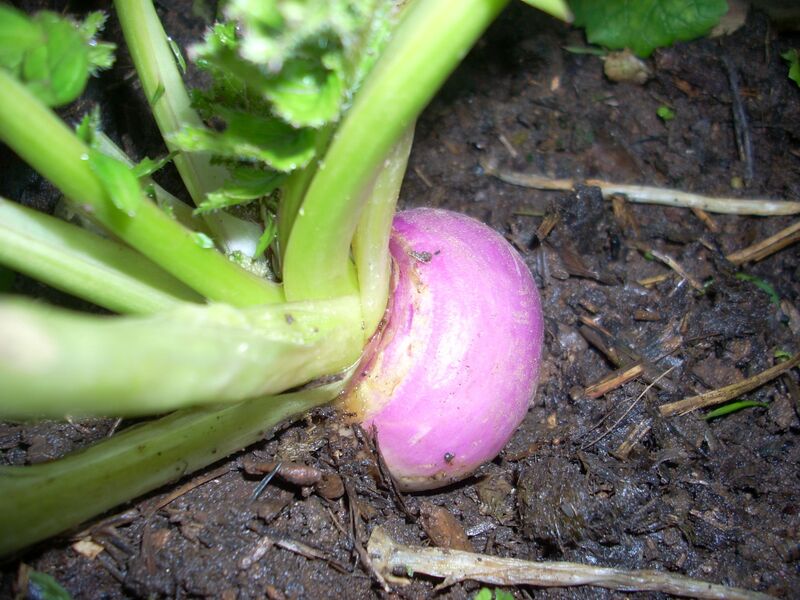 I have a big turnip and within the ten or so turnip plants that I have there is a small one for each plant so during the really cold months we may be able to harvest a turnip or two. 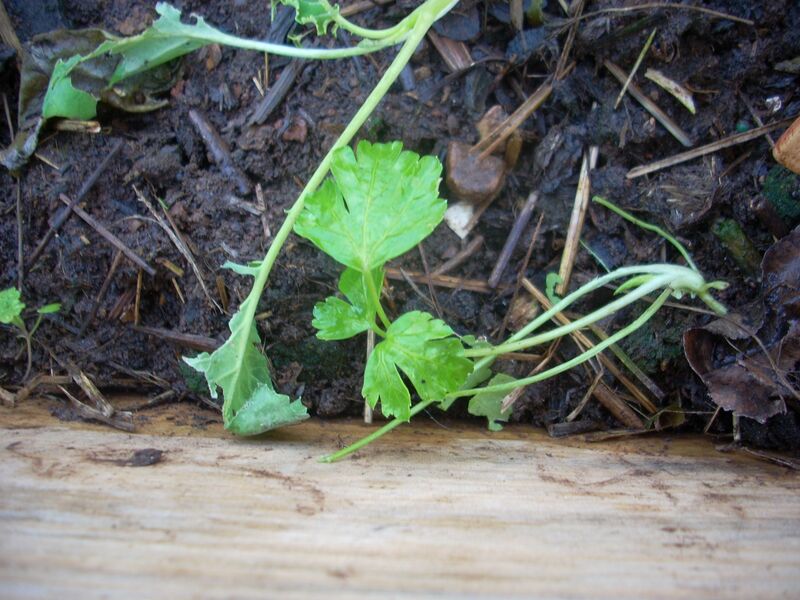 There are two parsley plants that are doing well and look healthy, but not enough to do anything with yet but, by spring, I can probably harvest some to add to some new potatoes. 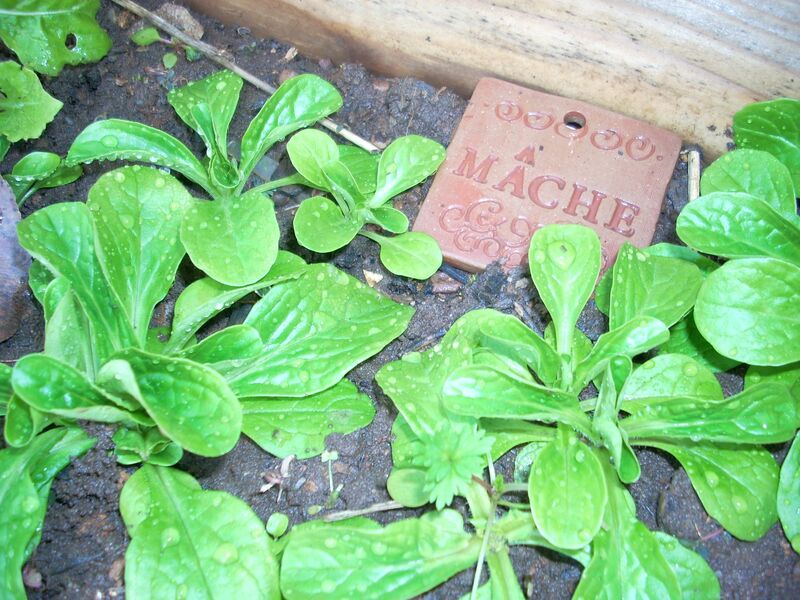 The mache is doing really well. This plant is supposed to grow in the tundra and each of those clumps are a serving so when it is time to harvest those I will pull a clump out. It is not a come again crop that will replenish. Supposedly, it has a nutty flavor. 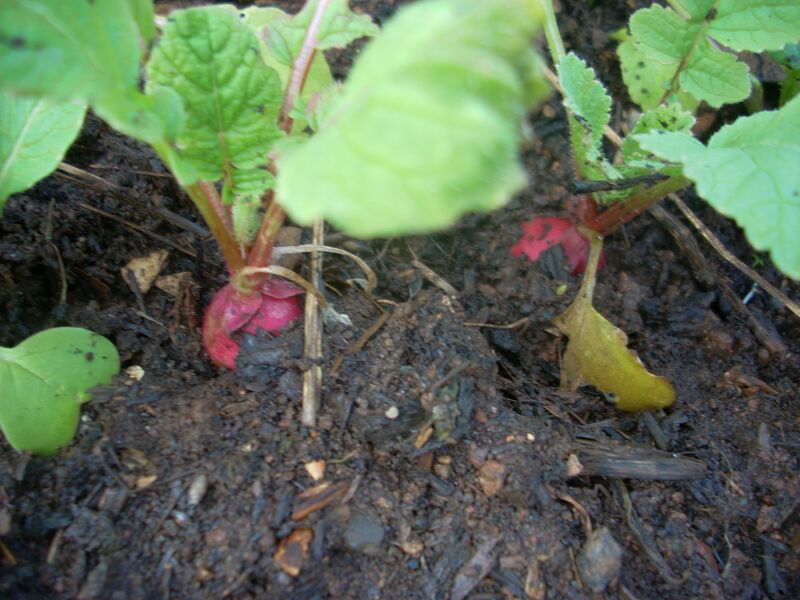 This is a new vegetable for me but it is one that Eliot Coleman recommends for the winter garden. The cabbage is hanging in there and beside it is a vegetable called Salsify and it also looks healthy. 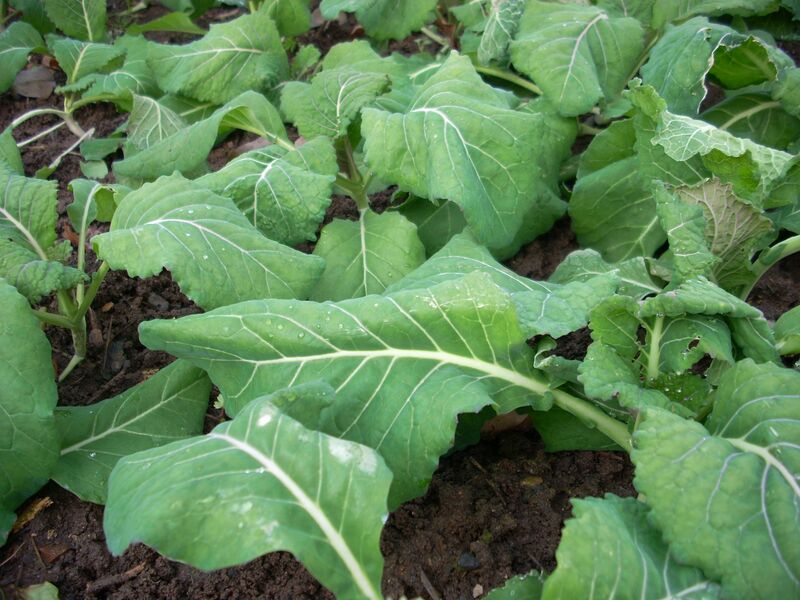 The cabbages haven’t started to bunch up into heads yet. Salsify is a root vegetable that is said to have the flavor of oysters but I didn’t see any hint of them yet. They look like they are doing okay in the cold. I pulled back some of the dirt from the carrots to check their progress and they are starting to form under there. Looks like it will be a good while before we can have carrots. I think I may put those out sooner next year so that maybe by this time I will be harvesting those. Plus, I didn’t do successive plantings so when I finally do get carrots, I will have them all at once. Again, something to remember to do next year. 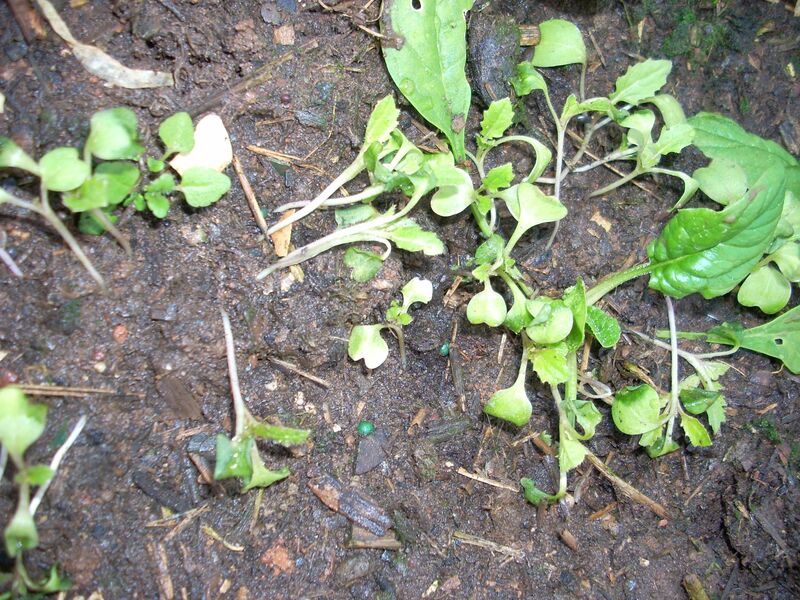 I have some Kale seedlings starting to grow amongst the spinach so I need to keep an eye on that too. Again, probably should’ve gotten those out earlier too. All in all, I think it has been a pretty successful experiment so far. We’ll see what things look like into February and March when the weather gets really nasty before it starts to warm up for spring. In the meantime, check out the slideshow and I’ll go eat some salad. We’ll, maybe tomorrow, as a start to the New Year. Susie Morgan Wilburn • This entry was posted in ...in the Garden, cold frames, Green Ideas, Healthy Living, Holidays, vegetables and tagged Carrot, Christmas, Cold frame, Eliot Coleman, Lettuce, Potato, Salad, Salsify. Bookmark the permalink.